Created to revitalise and relax. 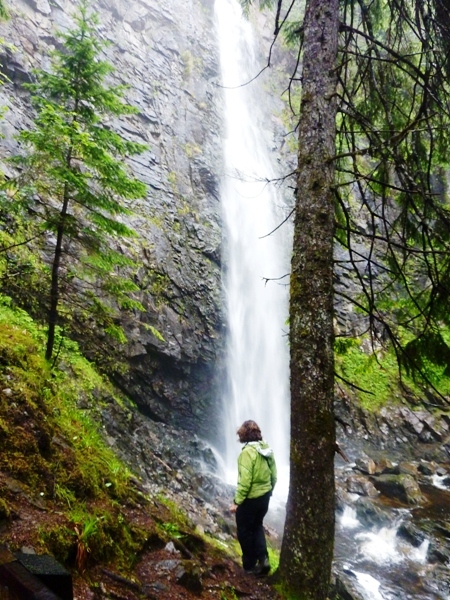 Combining yoga, walking, craft and stunning scenery. We take an holistic approach to relaxation, combining beautiful landscapes, alternative therapies, physical exercise, healthy locally sourced food and creative arts. We believe there is nothing better for the soul than learning something new and practising it in a beautiful place. Spring is a wonderful time to visit the Highlands of Scotland, the spring flowers are on their way, the birds are nesting and everything is coming to life. 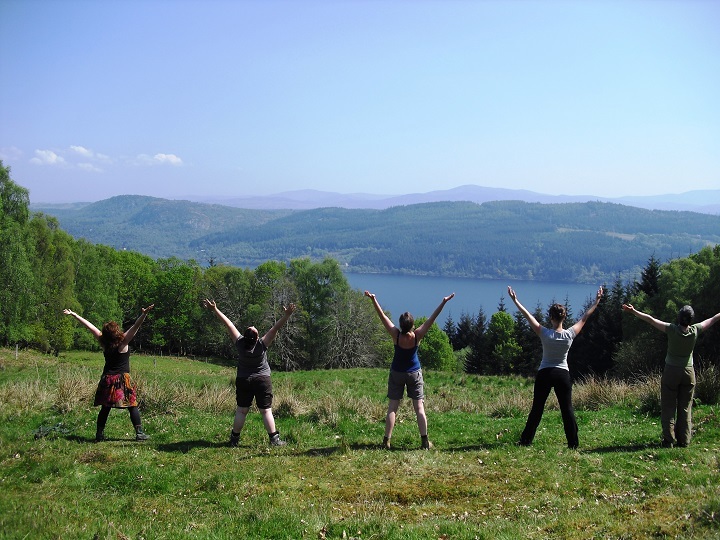 Our Relaxation weeks are based at Polmaily Steading, which lies half a mile up a track on the hill side above Drumnadrochit, on the north shore of Loch Ness. The steading has been beautifully converted inside and out, with large open living spaces, gardens surrounding it and wonderful views. We are in easy reach of some of the Scottish Highland’s most impressive landscapes, with Glen Affric on our door step. The Highlands of Scotland are the perfect place to truly relax, unwind, recharge and revitalise. Mornings will start with a yoga session, run by our experienced local yoga teacher Joany (all levels catered for), followed by breakfast. There will be an opportunity to walk most days, the walks range from afternoon rambles to longer days, taking in beautiful places; waterfalls, lochs, woodlands, heath land and mountains. One of the highlights of the week is a walk through Glen Affric, when we will take the whole day to explore and enjoy in the stunning scenery of this beautiful glen. All the walks are taken at an easy pace, with lots of time to enjoy the scenery and you can choose to join in with as many or as few as you like -you may prefer to spend the day at the lodge enjoying a book, sketching or baking bread. There is plenty of time to just take time out and enjoy being at the steading, mid week you can choose to take part in a felt making workshop or instead take advantage of the veranda for the day! You don’t need any prior experience in anything. We provide delicious healthy balanced meals using produce we have grown or from the farm down the road. We make our own granola, breads, jams and pickles. Eggs are fresh from the farm, fish straight from the sea or river and wild foods are foraged according to the season. Although we have an itinerary for the week, it is a very flexible and there is plenty of opportunity to take time out to just relax at the Steading. Our Relaxation retreats have been created to offer something a little different. 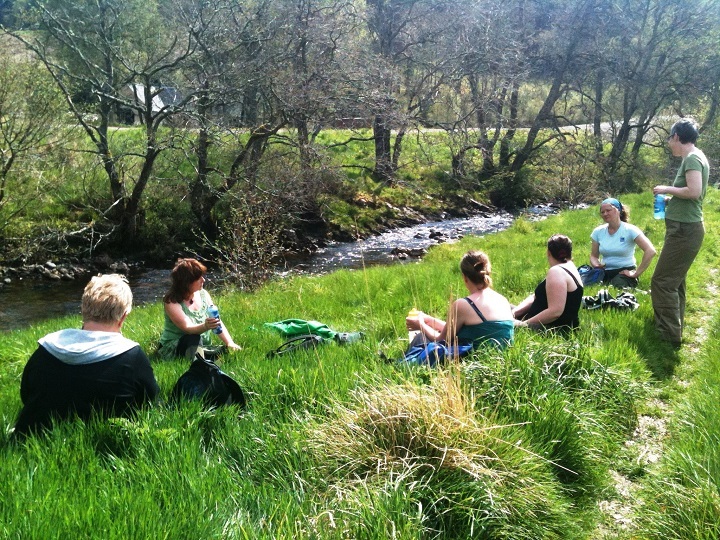 Our groups are small (maximum 6 people) so that individuals will gain the most from the yoga and the workshop sessions. Please go to our accommodation pages to find out more about Polmaily Steading.